You can play a significant role in keeping a child in a family unit through our monthly sponsorship program. 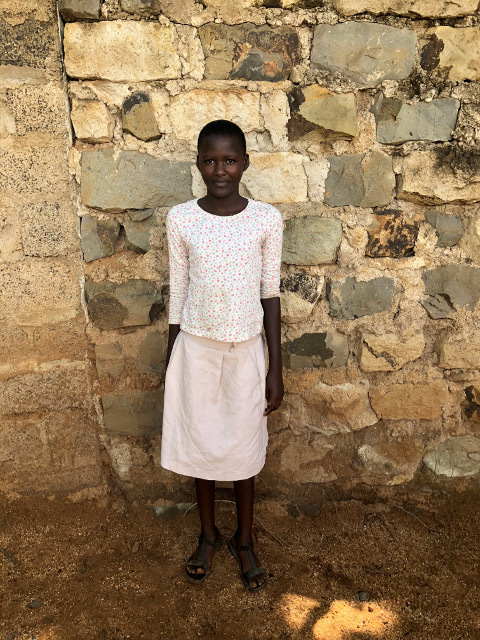 Your sponsorship will help the staff of Life For Children Ministry provide school fees and uniforms, educational books and additional tutoring, healthcare, nutritional supplement, and Christian discipleship for your sponsored child. The staff keeps a close relationship with the child’s parent or guardian by making home visits and providing peer groups Bible study and fellowship gatherings where they can discuss personal challenges they may be facing. The staff will also visit the child’s school to meet with the teachers and help identify ways the child can have the best chance at success. Life For Children Ministry will follow each child in our program from the time he/she enters the program all the way through University or vocational school. Francis is a total orphan and has been with Life For Children since he was 5 years old. Francis has had many challenges in his life, none of his family members have been stable enough to care for him. Life For Children has cared for Francis by taking him to boarding school and ensuring him that he will not be abandoned. Despite the many obstacles he has faced, Francis has kept a good attitude and is working hard to do well in school. He is a very friendly and outgoing young boy. He wants to be an engineer when he grows up. William Okumu lives in the rural area of Warani, just on the outskirts of Kisumu city. His father passed away shortly before he was born. William is in the care of his mother who also cares for four other children. She has a small business selling vegetables, but it is not enough to cover all of the family’s needs. William is a very disciplined child and loves going to school. William hopes to become a lawyer when he grows up. Vera lives in the Nyalenda slums in Kisumu. Her mother died when she was two years old, and there is no record of her father. Vera has been in the care of her grandmother, Gertrude ever since. Gertrude has 4 other dependents and makes a small living by fish farming, growing local vegetables and raising ducks. Vera has a very shy, but sweet personality and always ready to give you a smile. At home, she helps with the fish farming, harvesting and preparing the local vegetable to sell, and other normal household chores. She also enjoys playing with her friends when she is not in school. Vera wants to be a teacher when she grows up. Cindy has been with Life For Children since she was 3 years old. Her father died a few months before she was born, leaving her mother to care for 5 children alone. Her mother has a small business selling rice at a local market, however, it is not enough to cover all the needs of the family. 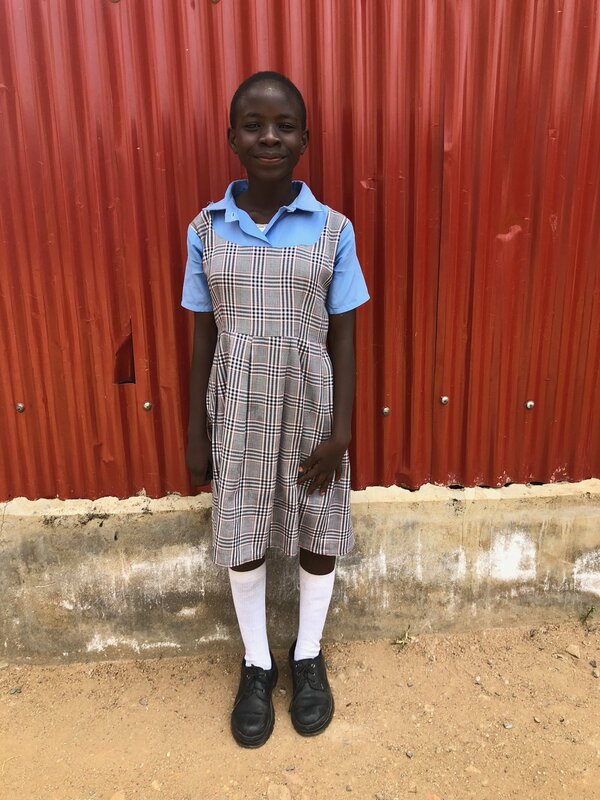 Sometimes her mother struggles to pay school fees for the older siblings. When Cindy is not in school or playing with her friends, she enjoys singing. Fidel lives in the Nyalenda slum of Kisumu. His father died when he was very young, leaving his mother with four children to care for. Due to their financial hardship, Fidel’s mother moved the family to the paternal grandmother’s home. The grandmother generates a small income by making and selling charcoal. When Fidel is not in school or helping with chores, he likes playing soccer with his neighborhood friends. Fidel hopes to be a construction worker or engineer when he grows up. Niccole is a partial orphan, her father died in 2009, leaving her mom to care for two children alone. The family has a small one acre farm where they grow maize and vegetables for their food. Niccole is a very smart girl, she is consistently at the top of her class. She enjoys playing with her friends and singing. She wants to be a journalist when she grows up.